I'm almost out of the train station when a Civil Protection Officer blocks my path to the exit. He glances to the rubbish bin beside him, where a soda tin balances precariously on the rim. He raises his electrified baton and knocks the tin onto the ground. "Pick up that can," he buzzes through his face mask. I swipe it off the ground. "Good. Now put it in the trash." Half Life 2 isn't really a game about choice. But this is one of the few moments where it offers the player options. I could oblige the officer and throw the can in the bin, to which he will respond by laughing and allowing me to pass. Or I could chuck it at his face, after which he will chase me around the station until he whacks me with his electro-stick. 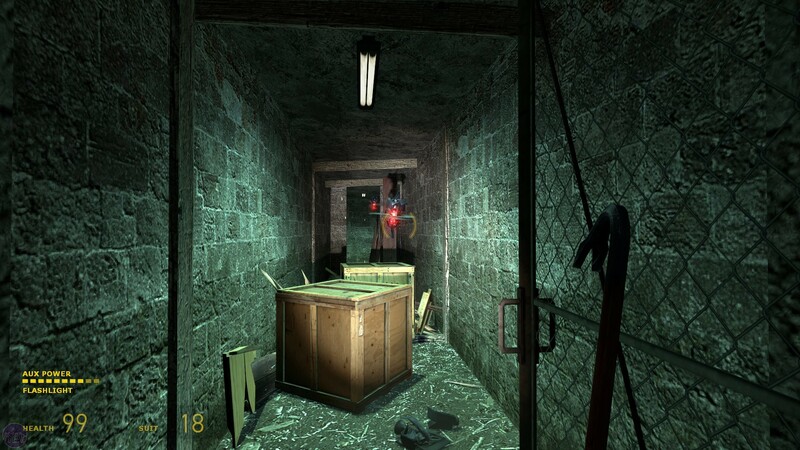 It's a fairly innocuous moment in a game which has more memorable scenes than most FPS' combined. And yet for me it stands out because Valve are doing so much with this simple set up. 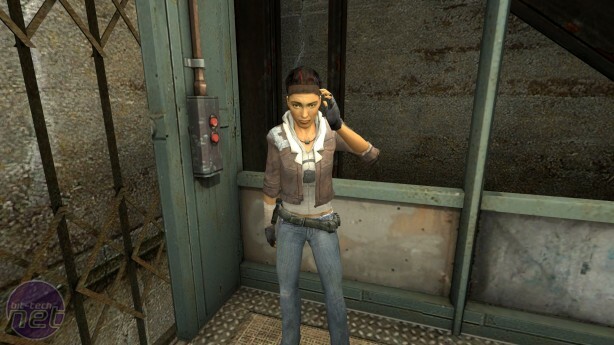 Firstly, it's teaching you the central mechanic that Half Life 2 builds itself around - the ability to pick up and throw objects in the world. 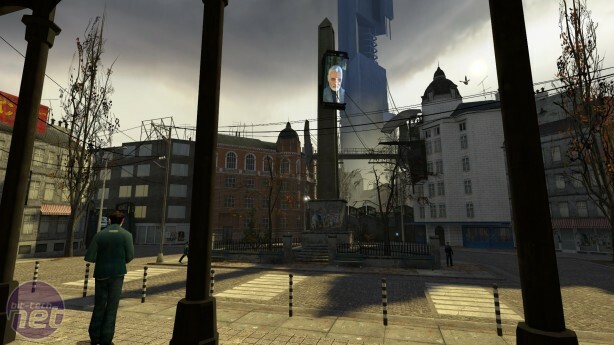 Meanwhile, the officer's actions demonstrate to us the arbitrary and draconian enforcement powers of Civil Protection, which exist in stark contrast to the propagandist message of peace and harmony offered by Doctor Breen on the enormous viewing screens dotted around City 17. Finally, should we choose to resist, this scene offers us a microcosmic glimpse of Freeman's immediate future, where he will break the spine of the Combine's Police Force by throwing much larger objects at them using the preposterously powerful gravity gun. Wooden crates, explosive barrels, the occasional toilet, all will become ammunition in the war against the Combine. Ten years on since its release, Gordon Freeman's one-man revolution remains without a doubt in my mind the finest FPS to ever have been crafted. And crafted is very much the operative word here. It exists amongst a miniscule fraction of games which are so carefully put together, which evolve so organically in their environmental design and stay systemically fresh for their duration. 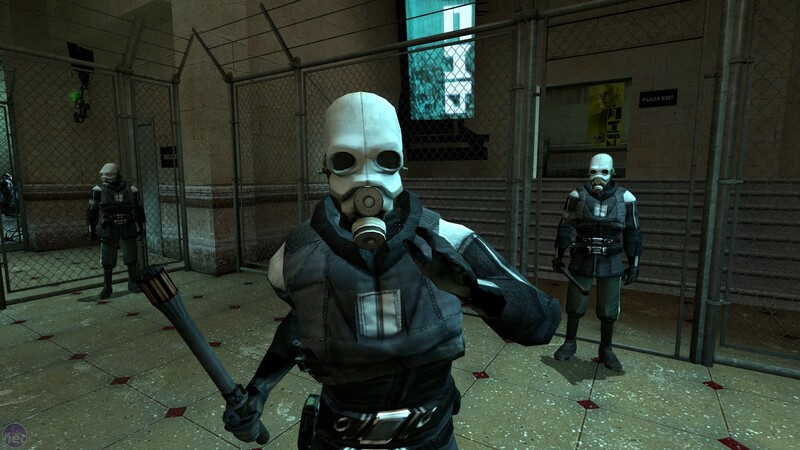 I've played Half Life 2 so many times that most of its scenes are burned into my mind. Not simply its most famous sequences such as the dark horror of Ravenholm, travelling along the coastline in the buggy, and the entire climactic battle toward the Citadel that runs through the chapters "Anticitizen One" and "Follow Freeman", but also little vignettes easily missed like the locations where the G-Man watches your progress, or the Vortigaunt hidden in the effluent pipe in "Water Hazard". 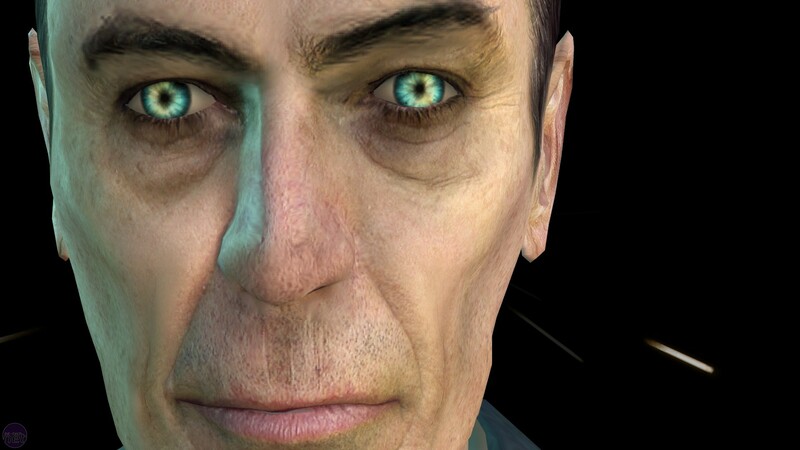 Half Life 2 has hundreds of moments like this. Indeed, one of the reasons behind its enduring greatness is they way in which Valve hide something new around almost every corner you turn. But Call of Duty Ghosts made similar efforts at variety in spectacle, and that was an abysmal game. What elevates Half Life 2 above pretty much every other shooter is how it sews everything so elegantly together. Half Life 2 is my standard example of what I like to call organic game design. An organic game is one which dispenses almost entirely with format and repetition, the engine that drives games such as Diablo or World of Warcraft. Organic games have a consistency to them, environments which flow naturally from one scene to the next, and systems that constantly grow and evolve as the game progresses. Star Wars season is upon us. Will Battlefront warm you up for the movie or will it leave you as cold as Hoth? Jake spent a week with the Rainbow Six: Siege Beta and he has some words to share about that.